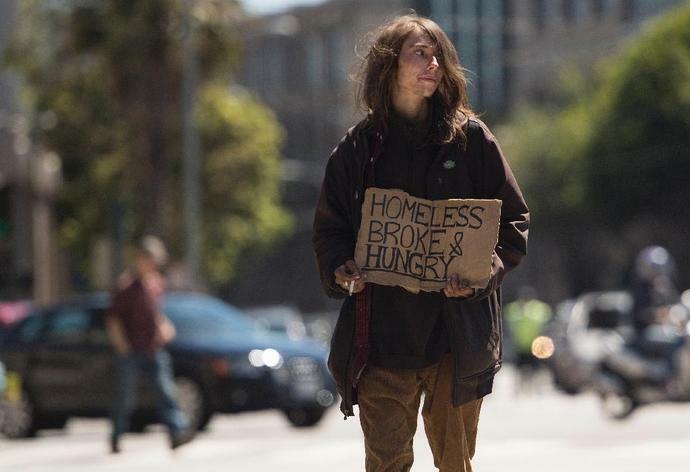 San Francisco (AFP) - San Francisco voters backed a tax on the city's wealthiest companies to tackle homelessness, passing a measure that divided the tech community. A tally posted Wednesday showed that 60 percent of voters in the city home to Airbnb, Uber, Salesforce, and Twitter cast ballots in favor of "Proposition C," a local ballot measure brought about by a 28,000 signature petition this summer. Designed to rake in $250 to $300 million per year, the Robin Hood-esque measure will tax corporations making more than $50 million to fund housing for 5,000 people and finance mental health and housing aid services, according to its backers. A number of San Francisco's tech bosses -- including Twitter chief Jack Dorsey and Patrick Collison of payment startup Stripe -- resisted the proposal. But billionaire Marc Benioff, head of cloud computing firm Salesforce, pumped millions of dollars into the "Yes On C" campaign. Benioff was quoted prior to the election as lamenting that a lot of billionaires in the thriving San Francisco area on the edge of Silicon Valley are "just hoarding" their wealth. "Prop C's victory means the homeless will have a home and the help they truly need!" Benioff tweeted. "Let the city come together in love for those who need it most!" Dorsey, who sparred with Benioff over the issue on Twitter, called for "long term solutions" -- "not quick acts to make us feel good for one moment in time." According to the city council, which opposed the measure, some 7,500 people sleep outside every night in San Francisco. Local services see some 20,000 different homeless people each year -- and the city says it is spending $250 million per year on fighting the housing crisis. Many in San Francisco's homeless population suffer from mental and physical illnesses, and live among garbage and drug paraphernalia. Other Californian cities such as nearby San Jose -- located near home bases of tech behemoths Apple, Facebook and Google -- are also plagued by astronomic real estate prices and homeless crises of their own. Draymond Green's mom went on Twitter rant after Warriors' Game 2 collapse originally appeared on nbcsportsbayarea.com Monday night wasn't pretty for the Warriors, and it didn't sit well with one Mary Babers Green. After the two-time defending champions blew a 31-point lead to the Los Angeles Clippers in the second half of Game 2 of their first-round NBA playoff series, Draymond Green's mom started taking names on Twitter, mainly in the form of retweets. First, Babers Green criticized the Dubs for making her miss her bedtime.